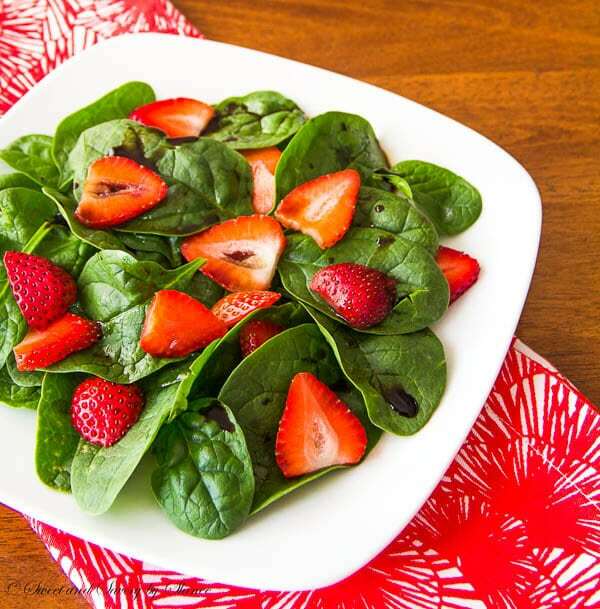 Slightly tart and mildly sweet, this strawberry spinach salad with a hint of nutty flavor is delicious and healthy treat. PLUS, as I mentioned in this post, I love red. Anything red automatically looks great to me. Today, I’m sharing with you one of my favorite salads. It’s delicious, healthy and super easy. So, so good. 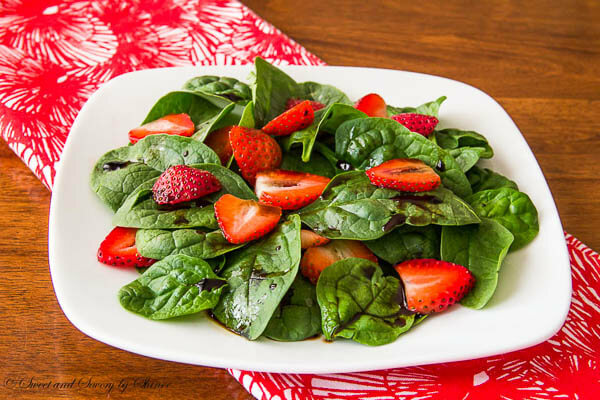 Spinach + Strawberries= Perfection! 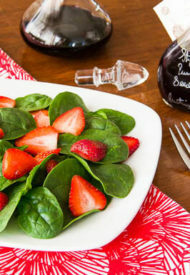 With every bite, you will get hearty spinach with mild tartness from the vinegar and slight sweetness from the strawberries. Pumpkin seed oil brings everything together adding a little nutty flavor. Slightly tart and mildly sweet salad with a hint of nutty flavor. Wash and dry spinach leaves. Hull and slice the strawberries. 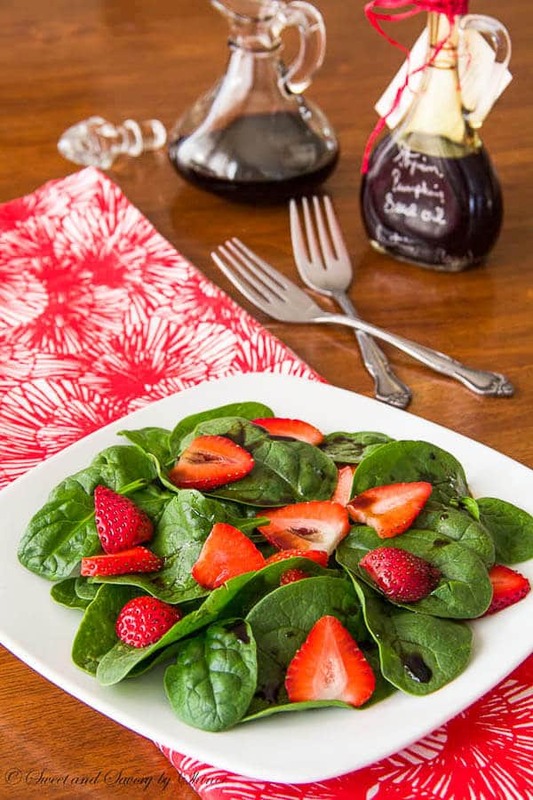 Plate spinach leaves and sprinkle strawberry slices. Drizzle pumpkin seed oil and balsamic vinegar over the salad. Salt and pepper to taste.